Cough can get really nasty, especially around the rainy and winter season. Though there are several cough syrups available in the market to cure the general cough, most of these induce sleep and some even build addiction. Worry not as you can still take care of the cough while avoiding the need to drink loads of cough syrup. While cough is already an inconvenience, it can get worse when trying to sleep or trying to focus on some work. 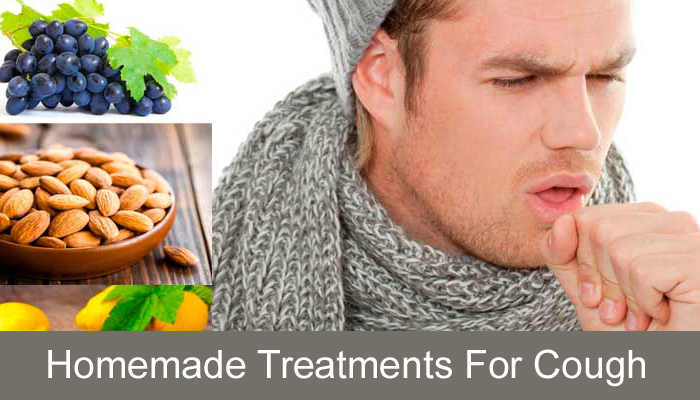 So, to avoid these instances here we are with some homemade cures for cough that are 100% natural. 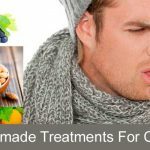 Before we head on to the homemade remedy list, let’s learn some importantdo’s and don’ts that will enhance the effect of homemade remedies for any disease. # Never walk barefooted when you wake up in the morning. Wear slippers or socks when you leave your bed in the morning and head for your bathroom, kitchen or somewhere else. # Don’t drink cold water, curd or juice early in the morning. Instead drink a glass of hot water after you wake up. # Wear light clothes while going to bed. # Clear you throat while washing your face in the morning. # If you are vulnerable to sneeze and cough allergies then keep your old belongings free from dust. # Burn camphor or googol to eliminate cold virus present inside your home. By following these points, you can improve the effect of homemade cures. # Take some ginger and Tulsi leaves.Crush them together into paste. Store the paste in a clean and airtight jar. Add some of the paste in the boiling water while preparing the tea. The drinkis an efficient way to fight cold and cough. # Just before going to bed, take some ginger and roast it gently. Apply some salt onto it and eat it slowly to cure cold as well as cough. # Boil some dry ginger (Sonth) with milk. Drink it regularlyto cure cough. # Boil up some water till it starts steaming. Inhale the steam slowly. It will help you feel relaxed and eliminate the cold. # Take some rinds of Indian gooseberry (Amla) and dry them. Powder the rinds and add some sugar to the powder. Store it in an airtight jar/container. Take 5gms. of the powder in the morning with fresh water to cure cough. # Put some Tulsi leaves, honey and a pinch of turmeric powder in drinking water. Boil it for some 10-15 minutes and then drink it.Doing so twice in a day will help tonaturally cure cough as well ascold. Note: – If you’re having cough for more than 2 weeks, then you need to visit a doctor ASAP. Don’t forget to share your personal homemade cures for cough and cold with our community via comments. We’ll love to hear from you.